Jill Turner was 5’10” tall when she was 12 years old. She claims she was uncoordinated, tall and lanky. The 8th grade girls’ basketball coach saw her walking to class and asked if she was a substitute teacher. When she found out that Jill was in 6th grade she quickly put a basketball in her hands and her love for the game began! Turner attended North High from 1975-1979. She was a 3 sport athlete all 4 years. In basketball, she was MVP twice, all SYL team all 4 years, had 708 career points, and set a school record for points in a game, 27. She was also on the All-star basketball team that went to Japan to compete in basketball. Turner averaged 28 points in Japan and scored a game high 53 points. In volleyball she was all SYL 2 years. She was also on the swim team for 3 years, where she still holds the JV record for the 50 Breaststroke. She also competed on the track team for one year where she was 5th in the CIF championships in the high jump. Jill attended Bakersfield College from 1979-1981 and competed in basketball and volleyball both years. As a Freshman she averaged 17.4 points per game, 12 rebounds and had an overall shooting percentage of 46%. She was awarded MVP and was on the first team All-Metro conference team. As a sophomore, Turner averaged 18 points per game, 13 rebounds and had an overall shooting percentage of 59%. She was awarded MVP, was selected on the first team All-Metro conference and received Sophomore Athlete of the year. In volleyball she was selected All-Metro team for both freshman and sophomore seasons and was awarded the MVP as a sophomore. Turner was the only athlete, male or female in the Metro conference history that was selected on the first team All-Metro team in two sports for two consecutive years. After BC, she attended CSUN on a full ride scholarship for basketball. Turner was a 2 year starter at CSUN and averaged 11 points per game with a 54% career shooting average. In 1984, she began her coaching career at BHS as the frosh-soph girls’ basketball coach. She coached at BHS for 3 years and had a record of 33 wins, 9 losses. 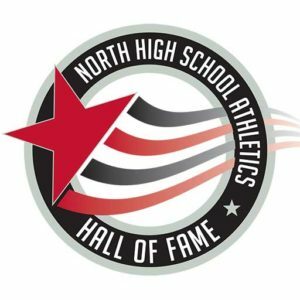 She was hired by Lloyd Williams in 1986 as the North Highs girls’ frosh-soph basketball coach and teacher under the direction of varsity coach, Curt DeRossett. Turner coached the frosh-soph team for 5 years and compiled an overall record of 97-9, with 5 consecutive league championships. She was the NHS varsity coach for 2 years with a 25-23 record. Turner has taught Special Education at the Kern High School District for the last 28 years. She has been blessed to have had two loving, supportive, amazing parents who encouraged her and came to every game she participated in or coached. She has also been blessed with three beautiful children Keyon 17, James 9 and Madison Marie 1.